Paul McGinley continues to fly the flag for Ireland and sits in fourth place heading into the final round of the MCB Tour Championship in Mauritius. The 2014 Ryder Cup captain fired five birdies on his was to a four-under-par 68 that finds him six shots off the lead on nine-under-par as he goes in search of a first senior title. Mark McNulty is the next best of the Irish after elevating himself into a share of 18th on three-under-par after returning a 68 of his own today. While Headfort’s Brendan McGovern added a 73 to his opening day 76 to sit near the foot of the board on plus five. At the top, Magnus P Atlevi carded the lowest round of the day, a seven under par 65, to put the pressure on 36-hole leader Clark Dennis. The Swede started the day at Constance Belle Mare Plage on five under par, four strokes behind Dennis, and the pair traded blows on the front nine as they both carded five birdies. 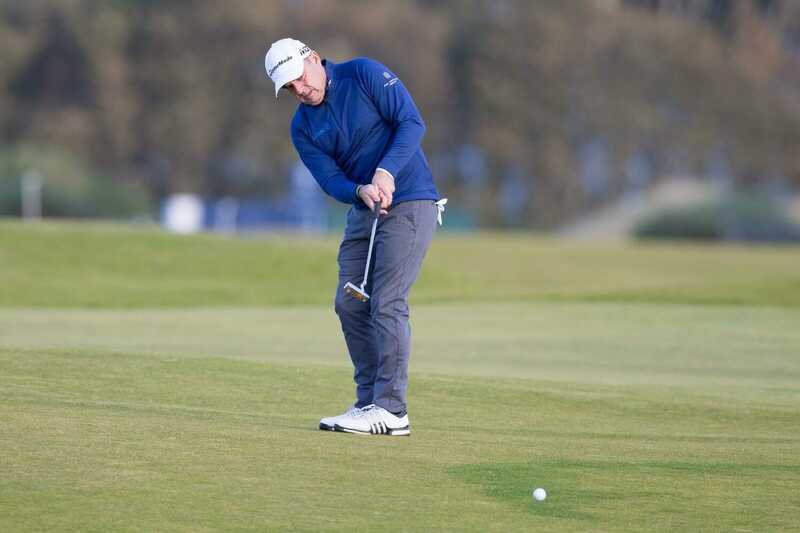 Dennis came home in 35, one under par, for a round of 66 and a 15 under par total, as Atlevi made two further gains on the back nine to reduce the deficit to just three shots.